Please feel free to visit my facebook page "Toby Messer Artist" to take a look at my more current work. No Naked Walls are two galleries in Chertsey and Bramley, Surrey. They specialise in a wide variety of traditional and contemporary art and are dynamic and youthful in their outlook. 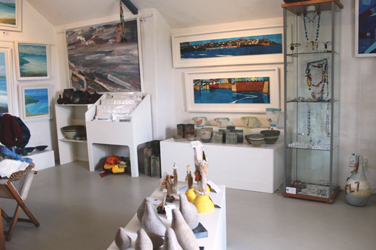 Wave 7, where my paintings are often on show, is an exciting gallery in North Cornwall exhibiting contemporary paintings, glass, ceramics, sculpture, jewellery, textiles and wood. Will's Art Warehouse is another gallery with which I have had very happy associations. They sell a wide variety of contemporary art priced between £50 and £3000.Will's Art Warehouse was founded by Will Ramsay in 1996. Gallery 286, is a Gallery situated at 286 Earl's Court Road. Regular Shows are curated by the owner Jonathan Ross and they feature an eclectic blend of paintings, sculpture, ceramics and occasionally Performance Art. Some of my work (notably the gumballs) are being shown at the Gallery at Ice in Windsor. It showcases young and emerging artists who use a variety of mediums. Painting, sculpture, print and photography. In addition to these artists there are a number of prints which have been created by some more famous artists, such as Tracey Emin, Banksy and Damien Hurst. The textual content of these pages and the images are © Toby Messer 2012. The web design is © Alexander Comley 2013. You may print or download extracts from these pages to a local hard disk for your personal use only, provided that none of the text or images are altered or manipulated. Hypertext links are provided for convenience to other World Wide Web locations only. I do not consider myself responsible for content found as a result of following links on this site. To return to this site from any of my links, simply click the back arrow at the top of your web browser screen.